There’s something about this time of year that makes me want to spruce up the house and have a good Spring clean! Since moving in back in October, we haven’t really had much chance to make every room ‘our own’ as all the spare money we had went on Christmas. I’m hoping to save up some money this year to add some new furniture to the place and pick up some new accessories to finish off a couple of the rooms, but for now I’ve been adding some quick fixes to make the place more homely. Cushions and throws in the living room, new bedding and sheets for the bedroom and plants to brighten things up. Enter Homesense and it’s new and improved artificial flower range – a dream for those of us who can’t even keep a cactus alive…. 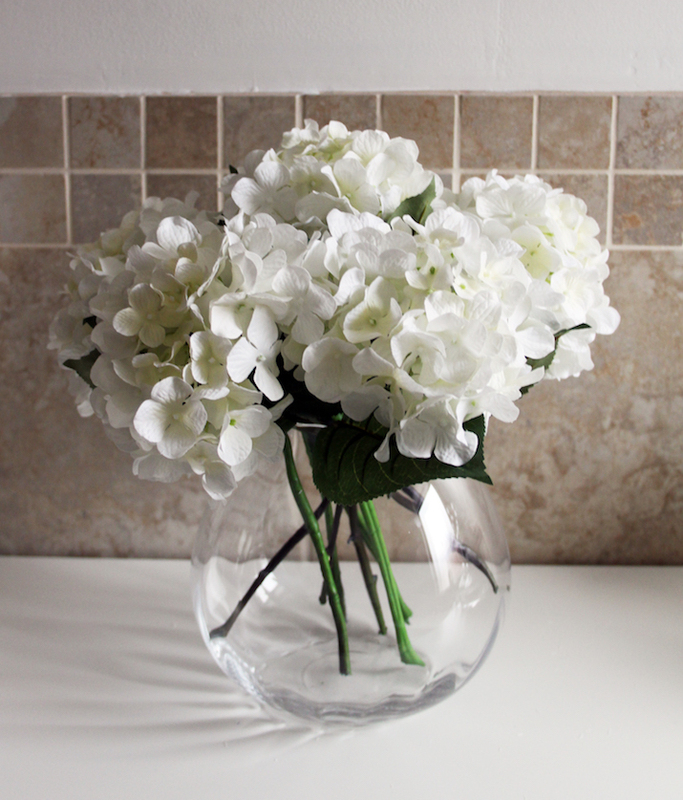 On one of my (many) recent trips to my local Homesense, I picked up these lovely artificial hydrangeas, one of my favourite flowers and a blogger’s dream in pearly white (hello blurry flowers in all of my close up product shots!). I got five stems, enough to fill the classic fish bowl glass vase that I also picked up whilst I was there. The stems were pretty long, so I had to cut them down a fair bit to make them fit nicely. FYI, buy some wire cutters. The scissors you see in the shot above are sadly no more, oops. I also chopped off some of the leaves that were further down to tidy things up a little, and hey presto! My vase of flowers now sits proudly on our bathroom shelves, and I’ve already had compliments on them from visitors saying how nice (and real!) they look. It’s amazing how much something simple can change a whole room. Needless to say, I’m super impressed and I’m already thinking of getting some more for the spare bedroom. 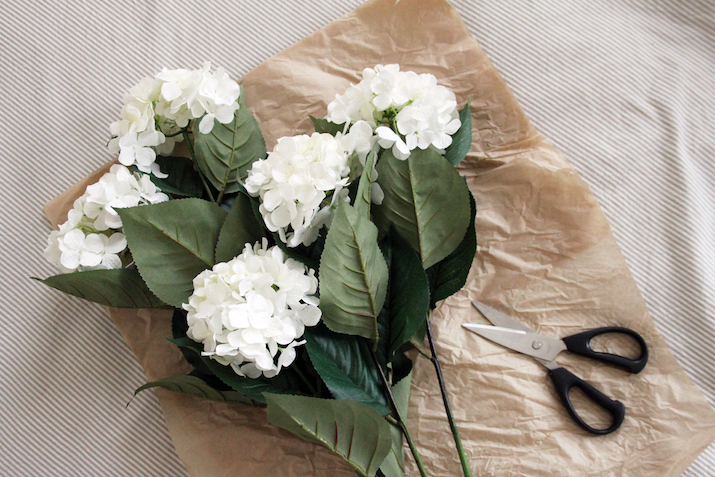 What are your thoughts on artificial flowers? Up until now I would have said I hated them, but I’m officially converted. 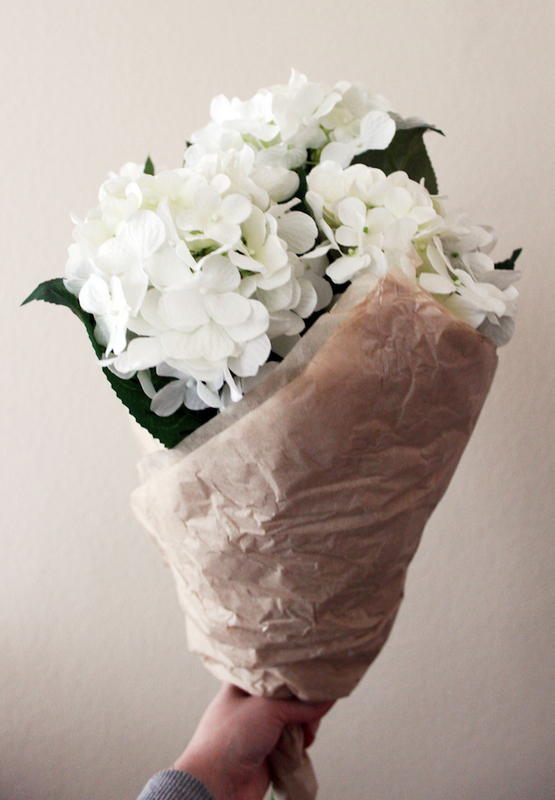 "ALL BOXED UP | HOME SPA BEAUTY BOX"
I love flowers for home decor – real or fake! 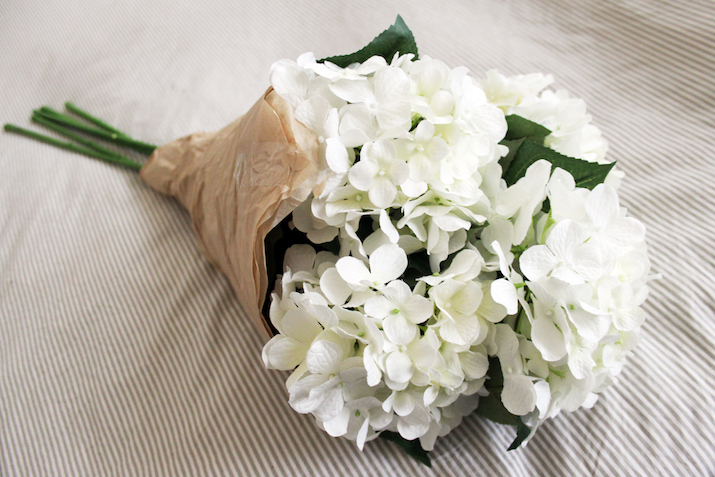 It's too expensive to buy fresh flowers every week even though that would be the nicer option! Buying real looking fake flowers are the more sensible option I think. 🙂 I love the ones in your photos – beautiful!